Why wait until Christmas to make a wreath? 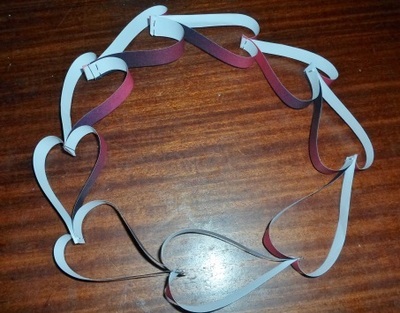 This pretty heart wreath is one you can make at any time of the year, like at Valentine's Day. And you don't even have to make a circle out of the hearts. You could also create a chain and hang it up for some unique, handmade party decorations. Cut out about 18 strips of paper. For my wreath, which is approximately 20 centimetres in diameter, they were 9 centimetres by 1.5 centimetres, but as long as they're long and thin, it doesn't really matter what size your strips are. 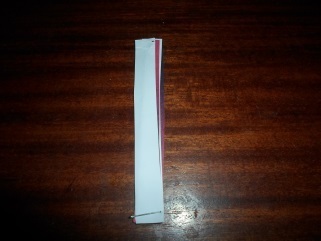 Staple four pieces of paper together close to one end. If your paper is only coloured on one side, the outside two pieces should have their coloured sides facing inwards, and the inner two pieces should have their coloured sides facing outward. 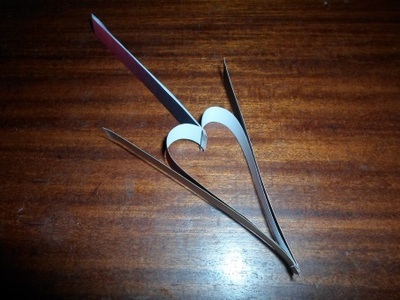 Curl the loose ends of the outside two pieces backwards, past the stapled section, and bring them together. 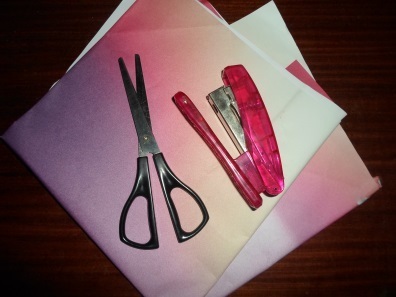 Place new pieces of paper on either side, coloured side facing inwards, and staple all four ends together. 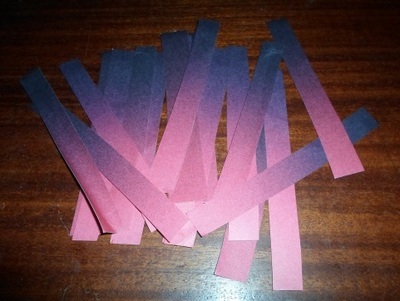 Repeat the process for the rest of the strips of paper. 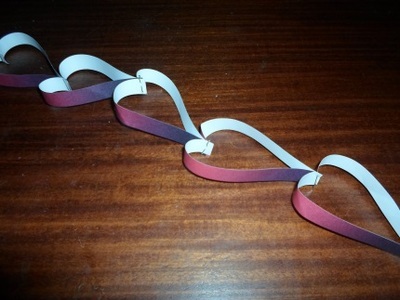 After 9 or 10 hearts, when you're ready to close the wreath, just collect the two ends at the base of the last heart in the chain and tuck them inside the heart you create with the paper at the other end. Staple all four pieces together like you have been doing with the others.